Special Containment Procedures: The Foundation is to liaise with the National Weather Service during SCP-1174-1's active season each year and monitor the development of meteorological phenomena which may contribute to onset of SCP-1174-1 events. Whenever weather conditions favorable to SCP-1174-1 exist, Foundation personnel embedded within the United States Coast Guard and Canadian Coast Guard are to assist in monitoring radio communication from civilian vessels in the active region for any reports of SCP-1174-1 sightings. Civilians spotting SCP-1174-1 are to be instructed not to attempt to approach, communicate with, or render assistance to any instance of SCP-1174-1. The existence of SCP-1174-1-3 is attested to in "ghost stories" circulated by the general public. Foundation media assets are to limit public dissemination of sightings of SCP-1174-1 instances. Subsequent to civilian sightings of any SCP-1174-1 instance, the Foundation is to intercept the vessel making the sighting upon its docking, debrief its crew, and issue Class-A amnestics. At O5 discretion, Foundation vessels, or US/Canadian Coast Guard vessels operated by a Foundation crew, may approach and follow instances of SCP-1174-1 for observation purposes. No vessel is to approach within 100 meters of any instance of SCP-1174-1. Following any shipwreck under conditions resembling an SCP-1174-1 incident, the Foundation is to locate the wreckage as soon as possible and retrieve any instances of SCP-1174-2 found in the vicinity for containment or termination as necessary. All available information about the wrecked vessel is to be catalogued for use in identifying potential new instances of SCP-1174-1. The Foundation is to monitor emergency calls and social networking for any indications of civilian encounters with SCP-1174-2. Any person reporting an SCP-1174-2 sighting is to be detained, debriefed, and treated with Class-B amnestics. Any dead SCP-1174-2 instances found afloat or washing ashore are to be acquired by the Foundation and destroyed as soon as possible. Authorization is granted to employ Emergency Procedure 248-October-Bravo in the case of an information leak regarding SCP-1174-2. Captured instances of SCP-1174-2 are to be housed in modified containment cells filled halfway with fresh water at a temperature of 2°C and fed standard containee rations twice per day. Instances of SCP-1174-2 capable of communication may be granted euthanasia at their request following a full debriefing. Description: SCP-1174 is a localized phenomenon occurring within Lake Superior along the border between the United States and Canada, consisting of visual hallucinations of ships appearing during periods of inclement weather (designated SCP-1174-1) and an unknown number of anomalous human beings associated with ships sinking after encountering SCP-1174-1 (designated SCP-1174-2). Instances of SCP-1174-1 are capable of manifesting between October 1st and November 30th of each year. Most manifestations of SCP-1174-1 have occurred during "November witch" cyclone conditions producing rain or snow and wind in excess of 95 km/h; however, SCP-1174-1 can manifest at any time during the active season when cloud cover and high winds are present. Instances of SCP-1174-1 are capable of movement at rates commensurate to that of the ship it resembles, and will appear and travel in no discernable heading along Lake Superior until such time as weather conditions improve, whereupon SCP-1174-1 will vanish. In no case has any instance of SCP-1174-1 appeared in, or traveled to, any area less than approximately 5 km from the American or Canadian mainland. SCP-1174-1-1: A fully-rigged wooden warship of late 18th century construction, approximately 45 meters in length, flying the naval ensign of the United Kingdom. Identity unknown. SCP-1174-1-2: A wooden schooner of mid 19th century construction, approximately 60 meters in length. Identified as Lucerne, an ore carrier sunk in 1886. SCP-1174-1-3: A wooden steamship of late 19th century construction, approximately 75 meters in length. Identified as Bannockburn, a freighter sunk in 1902. SCP-1174-1-4: A steel-hulled, steam-powered warship of early 20th century construction, approximately 40 meters in length. Identified as Cerisoles, a French Navy minesweeper lost under unknown circumstances in 1918. SCP-1174-1-5: A steel-hulled steamship of early 20th century construction, approximately 75 meters in length. Identity unknown. SCP-1174-1-6: A steel-hulled, oil-burning cargo ship of mid 20th century construction, approximately 220 meters in length. 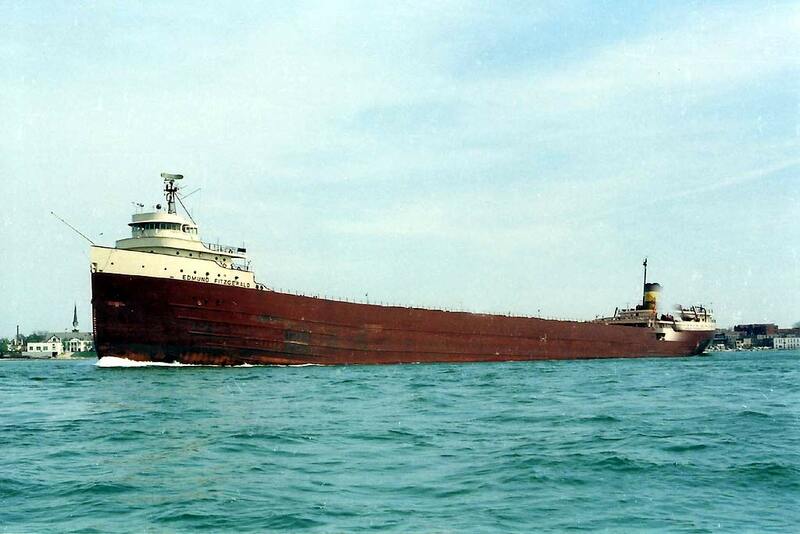 Identified as Edmund Fitzgerald, a freighter sunk in 1975. SCP-1174-1-7: A steel-hulled, diesel-engine patrol boat of early 21st century construction, approximately 27 meters in length. Identified as SCPS Irvine, a Foundation vessel sunk while investigating SCP-1174-1-6 in 2007. Testing has indicated that all instances of SCP-1174-1 are visual hallucinations and do not exist as corporeal entities. SCP-1174-1 vessels do not appear on radar or infrared imaging, and attempts to fire upon them have resulted in armament passing through the vessel without causing damage. Upon coming into visual range of any vessel traveling through Lake Superior, SCP-1174-1 will attempt to establish communication by means appropriate to the period and capabilities of the vessel appearing, including use of flags, signal lights, Morse code, firing of flares, and radio. In all cases where contact is made, SCP-1174-1 will claim to be in immediate danger of sinking and will request that the vessel approach immediately to assist in evacuating its crew. In radio communication, the voice transmitted from SCP-1174-1 is always an adult male who identifies himself as a senior officer of the vessel requiring aid; conclusive identification of the speaker with individuals known to have been aboard the vessels at time of sinking has not been made to date. Any vessels approaching within approximately 75 meters of an SCP-1174-1 vessel will suffer immediate and massive damage to their hull, resulting in the vessel sinking within minutes of approach. Forensic analysis of recovered wrecks is inconsistent, indicating damage consistent with collisions, weapons fire, attacks from aquatic megafauna, and rust. In one instance, a vessel approaching SCP-1174-1-2 appears to have spontaneously capsized without suffering any other damage to its hull. SCP-1174-1-6 and SCP-1174-1-7 are known to have sunk as the result of SCP-1174-1 contact; it is unknown whether the other instances of SCP-1174-1 sunk due to contact as well, or what form SCP-1174-1 phenomena may have taken prior to the appearance of SCP-1174-1-1. SCP-1174-2 are human beings present aboard vessels sunk as a result of contact with SCP-1174-1. SCP-1174-2 individuals, rather than dying as a result of drowning or hypothermia, remain alive and conscious after submerging and are capable of continuing to live for an undetermined period of time in the lower elevations of Lake Superior. 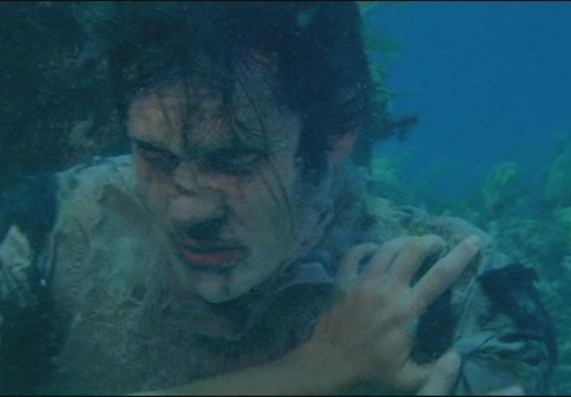 Aside from tissue necrosis as the result of long-term exposure to water, SCP-1174-2 specimens display no unusual health problems as long as they remain submerged at a temperature of 1°-5°C, and continue to show signs of age at a normal rate. SCP-1174-2 individuals removed from the water, or placed into a warmer environment, will display symptoms of shock and/or heatstroke and typically die within one hour if not returned to cold water. SCP-1174-2 individuals in the wild often subsist on fish and aquatic flora; while some have been noted to attack divers or each other, this behavior appears to be rare and discouraged by the community. SCP-1174-2 individuals typically live in communities at or near the site of their shipwreck and continue to possess full recollection of their lives prior to sinking. Most SCP-1174-2 individuals, unless suffering vocal cord damage as a result of their environment, retain the ability to speak and are capable of understanding each other while submerged. In interviews, captured SCP-1174-2 specimens have denied any explanation or knowledge of why or how they exist in their current state. There does not appear to be any upper limit on the length of time an SCP-1174-2 individual can remain alive in the absence of disease or natural hazards. The oldest known individual in captivity is a former crewman of the vessel D&C, currently 87 years of age, who became an instance of SCP-1174-2 upon that vessel's sinking in 1957. The Foundation began formal study and containment of SCP-1174 in 1975, after investigating several claimed sightings of the Edmund Fitzgerald following its sinking in early November. Several former crewmembers of the vessel were discovered living in its wreck upon the first formal exploration thereof in May of the following year, and were taken into Foundation custody. Foundation folklorists have since connected "ghost ship" legends regarding the Bannockburn to sightings of SCP-1174-1-3, and found references in Ojibwa folklore to a "witch of Gichagumi" which lures fishermen to their doom.